Christmas may be a time for giving, but it's also a time for fun and laughter. 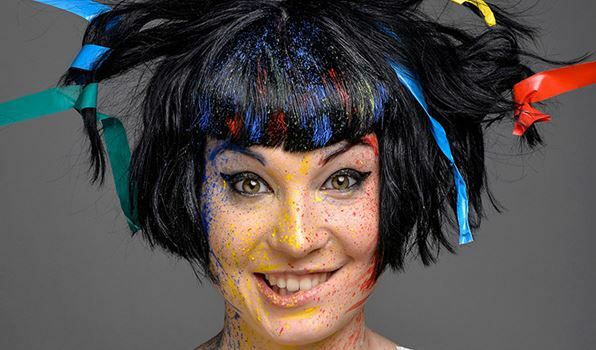 So why not take the opportunity to laugh out loud when the Lichfield Garrick theatre stages its festive stand-up comedy special. Comedy 42, which in part takes its name from the "answer to the ultimate question of life, the universe, and everything" from classic TV series The Hitchhiker's Guide to the Galaxy, will be returning to the Lichfield Garrick on December 15 for its Christmas special. 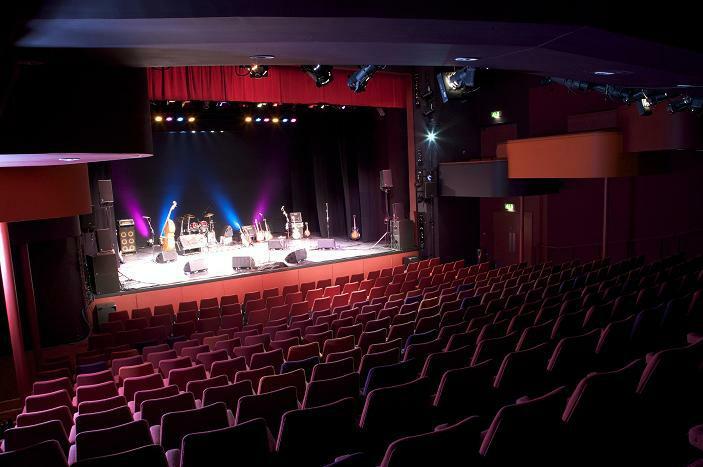 The theatre's regular Comedy 42 shows are aimed at bringing some of the finest and funniest comedians from across the country and around the world to the Staffordshire venue. And to celebrate the season of goodwill, the latest offering on December 15 will feature a line-up of international comics, as well as take place in the main auditorium instead of its usual location within the Garrick's studio theatre. 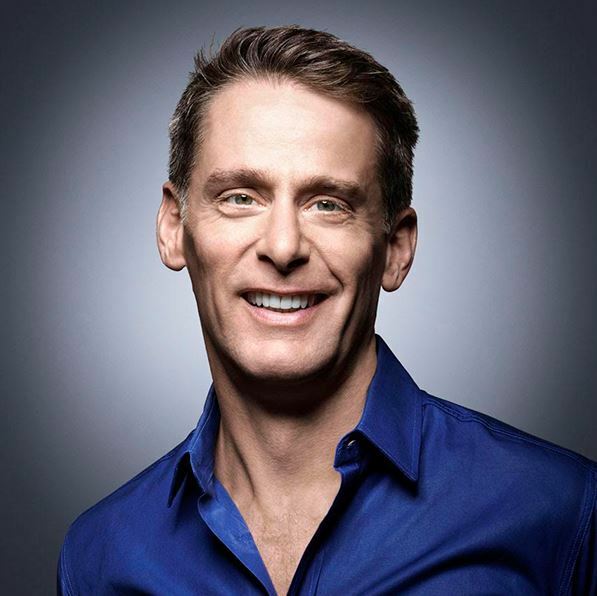 The headline act taking to the stage for the Christmas special is Scott Capurro who is a Perrier Award-winning stand-up comedian, writer and actor. The American performer, who originates from California, has appeared on comedy shows such as 8 out of 10 Cats, has written a novel called Fowl Play, and has also earned film credits as diverse as Star Wars; Phantom Menace and Mrs Doubtfire. 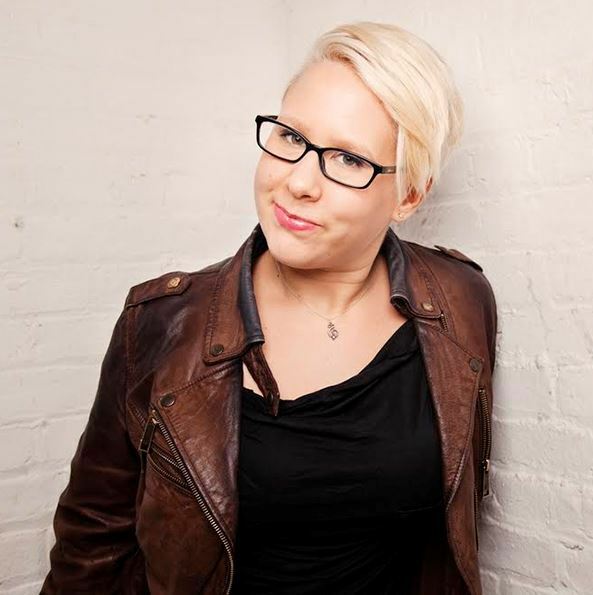 The night will also feature fellow American Abigoliah Schamaun who grew up in Ohio before establishing herself as a comedienne in New York before deciding to continue her career in London where she works as a stand-up comic and actor. Abigoliah has been named one of the "Top 5 Up and Coming Female Comedians" while her acting credits include starring in the TV pilot How Come I'm Not Famous Yet? Completing the international line-up on November 15 is Australian comedienne Bec Hill who has gained a cult following in her native country as well as the UK and Ireland due to her award-winning solo shows in which she incorporates arts and crafts into her stand-up routines. Bec is the co-host of Sky's "DC Fancast" and "DC Fancast UNMASKED" and appeared on several seasons of CBBC's "The Dog Ate My Homework". As always, the line-up of comedians will be introduced by local funny man and Lichfield Garrick regular, Chris Purchase, who is the host for the show. 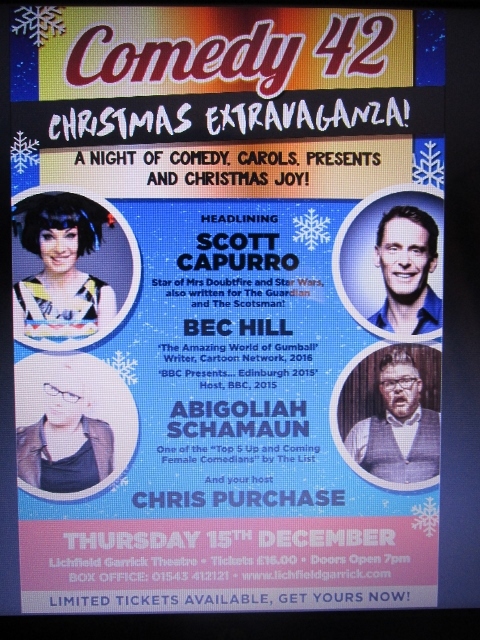 The Comedy 42 Christmas Special starts can be seen at the Lichfield Garrick on December 15 at 7.30pm. Tickets cost £16 and can be booked online or by calling Lichfield Garrick's Box Office on 01543 412121. Comedy 42 is considered suitable for ages 16 and over.